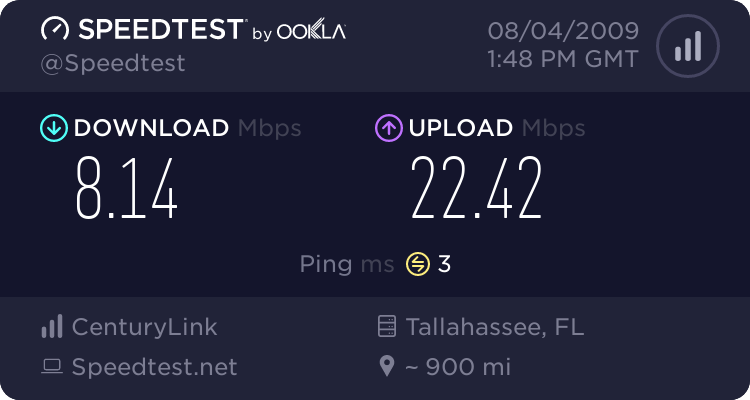 I have used lots of different programs, websites and services to try and determine my actual speeds of my Internet lines. Of course you want to make sure that you are getting what you pay for and with all the competition nowadays providers are promising lots more than they used to. If you choose your provider because they say they can provide 30 mbps up and down how can you be sure that they really are? 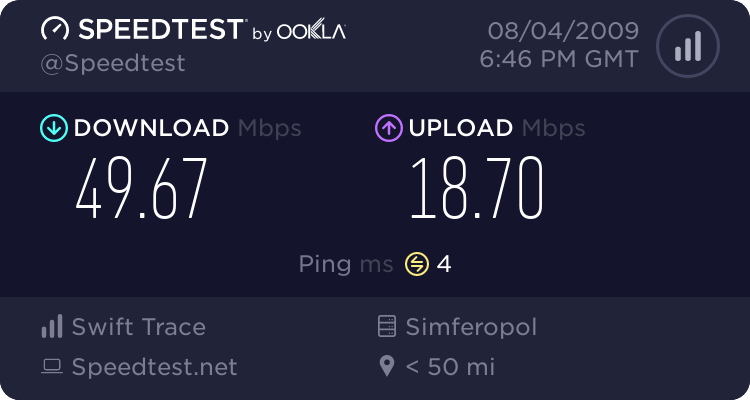 I have found a nifty Internet speed test service called Speedtest and they make it ridiculously easy! Check it out. If you hover your mouse over the top banner, identifying your city and state, it will turn into a Begin Test button. Click it to begin with the default server. 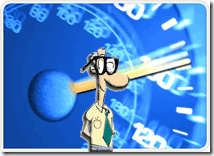 A speedometer will appear and it will start to go up and down for your upload and download speed as the test runs. It will take a few minutes or seconds depending on the speed of your line. When your Internet speed test is complete you will see a screen similar to the following with your statistics. 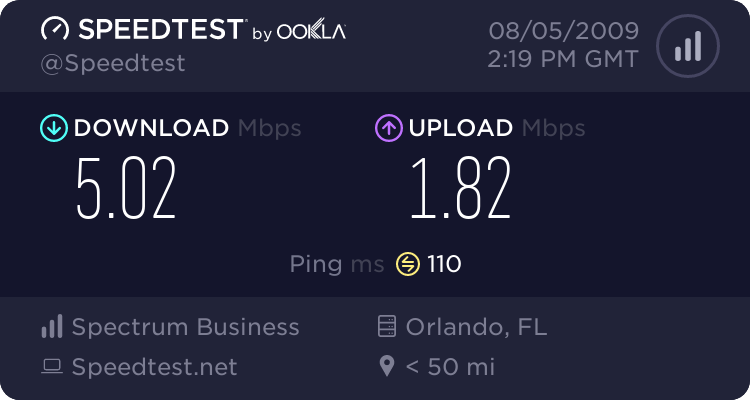 I was happy with my Internet speed test results for the office but my home line was not up to what the carrier said! Damn you OptOnline! We would love to hear about your carriers and your speed. Are they on point? Very concise and helpful information on very useful subjects written for easy understanding. Without your contribution, many of us will stay in the dark age of computer. We have learnt so much from your site. does anybody know why this is? 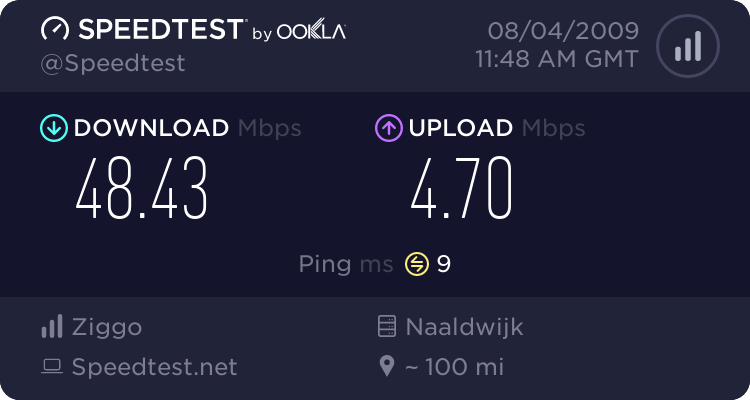 my isp promises 10mbps. I think you'll find that your ISP says *up to* 10mbps. They obviously fail to mention that reaching this speed would require you to be the only person using your ISP at the time; as well as needing absolutely everything to be in peak condition. We just got new internet via cable, works great, 50 mbit going to 80 later this year.